And the Scarlet Witch enters the fray! Ten days since the Phoenix took Emma Frost, Cyclops, Colossus, Magik and Namor as its hosts they have begun remaking the world in their image providing free energy, feeding the starving etc. The Scarlet Witch has a vision of the Phoenix destroying the original Avengers. In Kun Lun the prophecy of the Phoenix is uncovered. After meeting the president the Avengers try to sneak into Utopia to capture Hope. 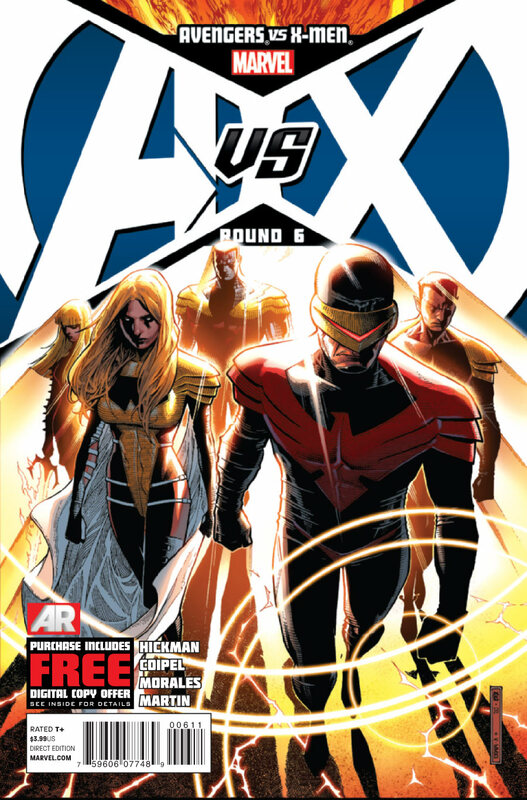 This leads to a fight between the Phoenix powered X-men and the Avengers with the AV being on the losing end. The Scarlet Witch teleports in and takes hope and her teammates. The X-men realize Wanda is the only real threat to them and they decide it’s time to have “no more Avengers”. Art- Oliver Coipel brings fresh new look to this series as we move into act two. Cover-The Phoenix five take center stage and man do they look majestic! Black Panther– He finally moves out of the background and into a somewhat leadership capacity. I salute his use in this issue, all hail the king! Scarlet Witch-When I really started collecting the Avengers Wanda was my favorite Avengers. Bendis then had her shag Cap and go all mental first creating HOM then decimating the mutant race. I didn’t mind Avengers children’s crusade because it made her a good guy/gal again and brought her powers down to a level in which she could justifiably be on a super team without being overpowering. This issue she finally enters the struggle between the Avengers and X-men, two teams which are integral to the woman she has become. Born a mutant and making her debut as part of the brotherhood then spending her entire career as an Avenger, she is the glue that tied the teams together especially after HOM. Well she’s back and completely badass! As the destroyer of the mutant race her pairing with “Hope” the supposed savior is interesting. Art- Don’t get me wrong I enjoyed the art but for TPB fans the shift in artist will throw off the flow of the story. Phoenix power- To this day only Kyle Rayner while Ion has exhibited what one could call omnipotent power. Here we have five people with the power of creation and destruction and they still have not found a way to resurrect the almost extinct mutant race? Instead of focusing on their race and saving it the avatars have instead set about “policing the humans” say what now? Why? 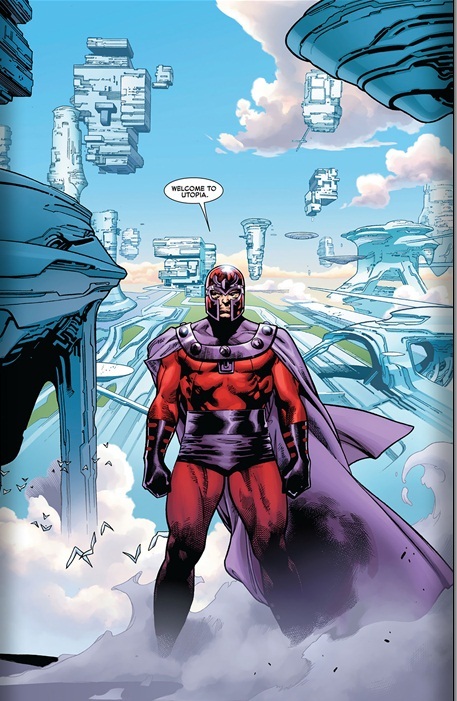 Another thing with the power supposedly at their disposal they should have been able to kill any and all who opposed them with a single thought……instead the Avengers and all the mutant haters of the world are running around free…..this makes no sense!